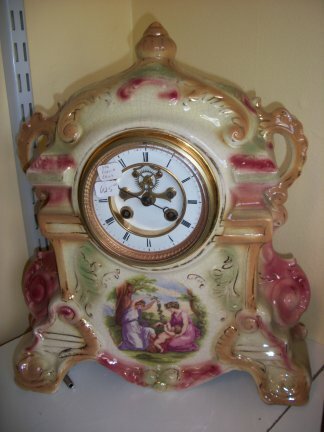 This is a French 8 day time and strike on bell pendulum china clock with porcelain dial. 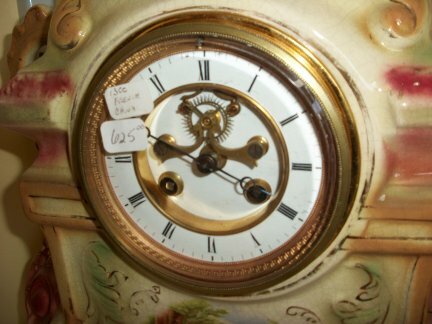 This clock has what is called an "open escapement". Here you can see the action as the clock runs. 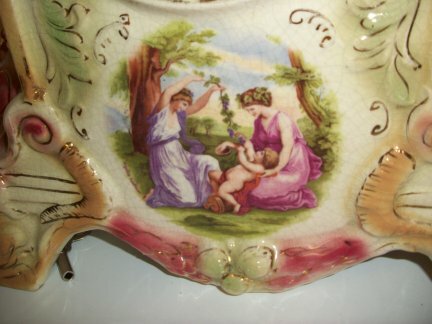 The paintings on this clock are beautiful, this is the bottom scene.